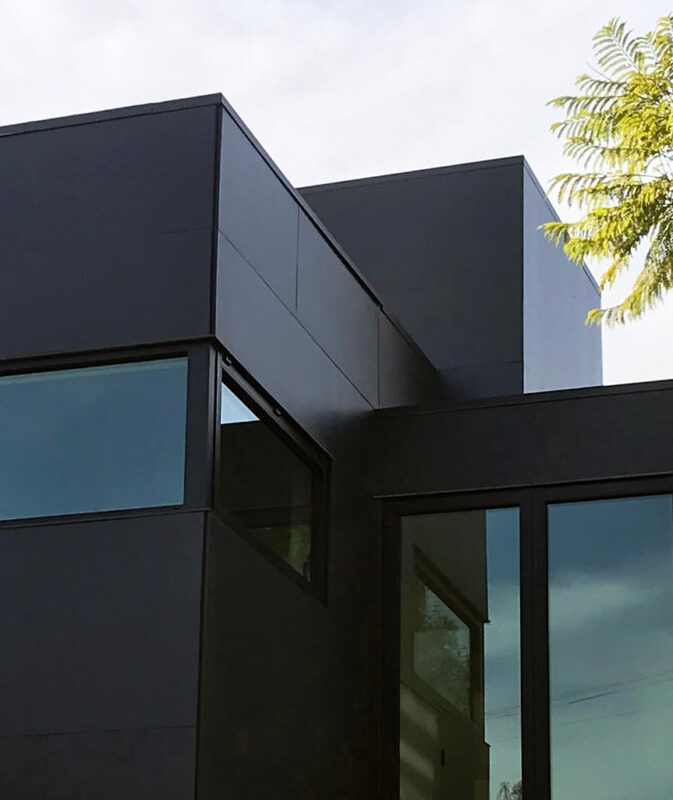 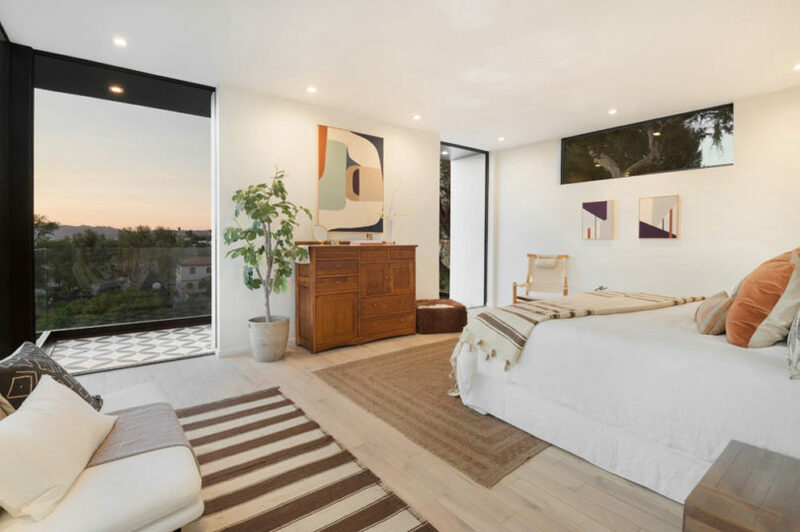 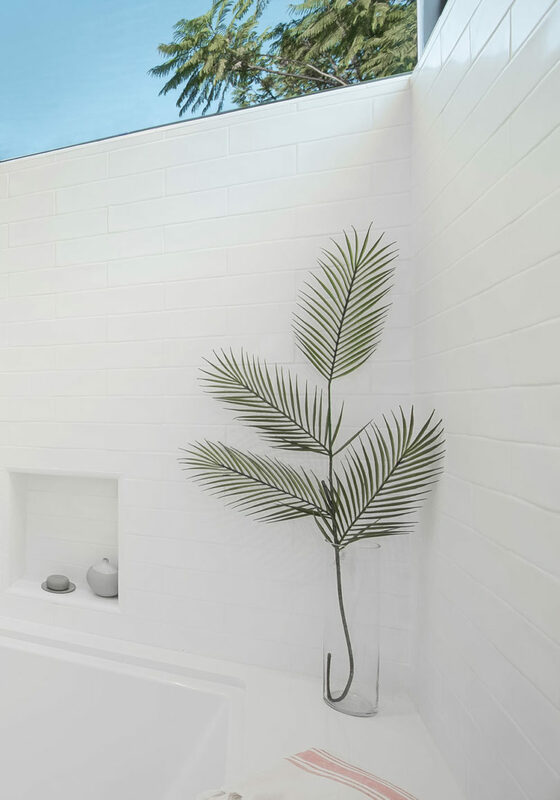 Situated on a slight hillside in Los Angeles’ Silver Lake neighborhood, the SL House is a single family home designed by ANX / Aaron Neubert Architects. 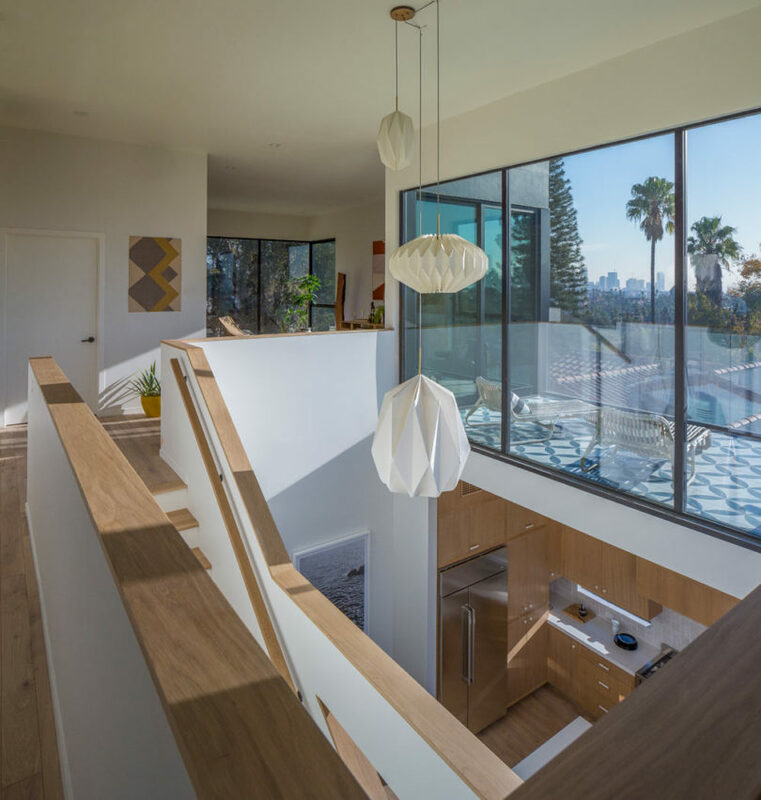 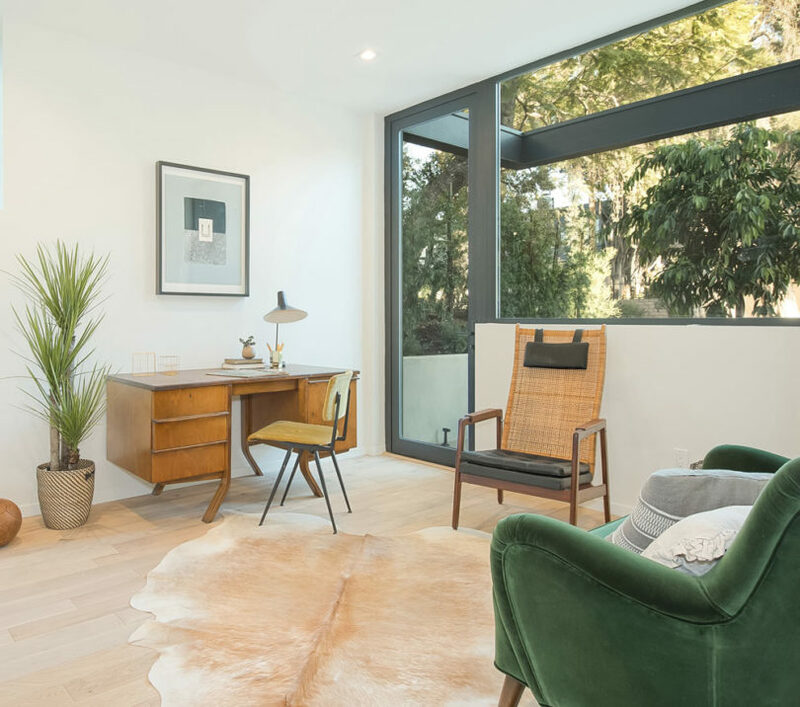 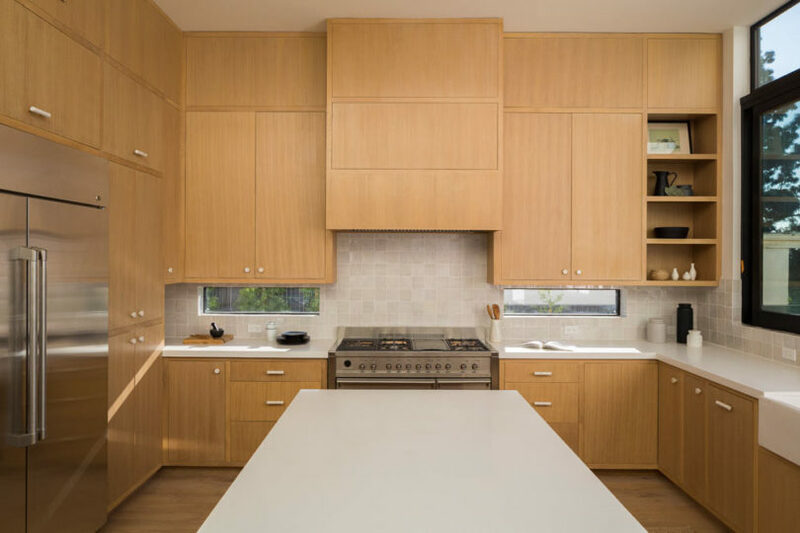 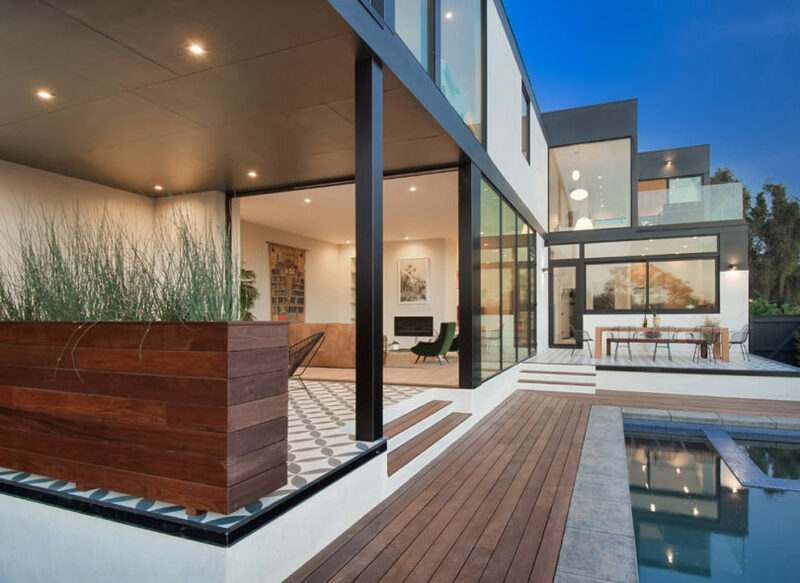 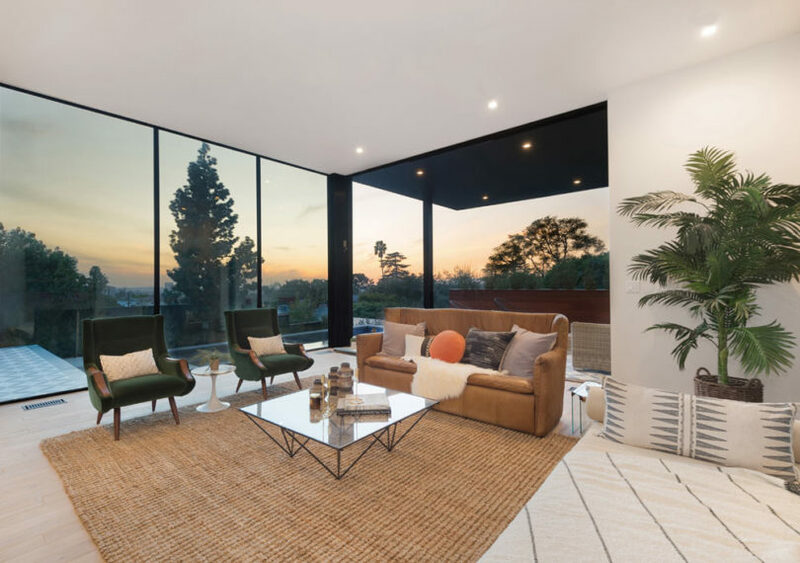 The house, which is composed of two connected volumes, was positioned in such a way as to focus on views of downtown Los Angeles, Griffith Observatory, and the infamous Hollywood sign. 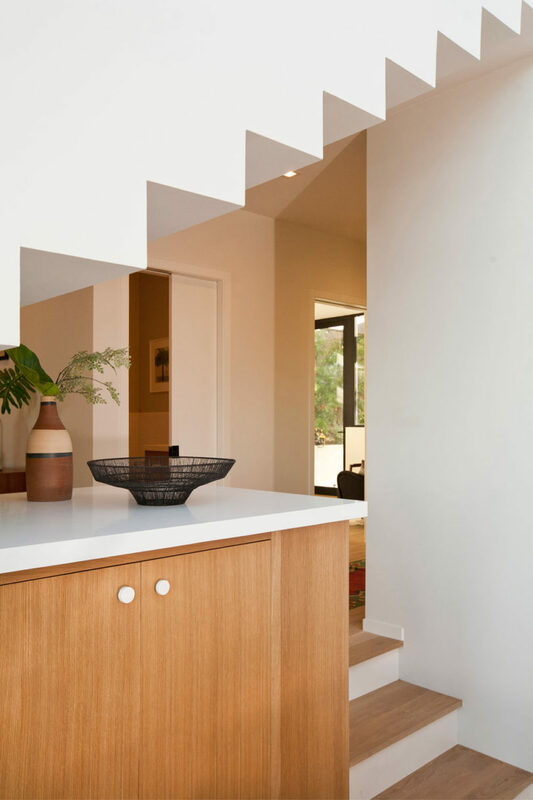 The residence’s small entryway is where the two interlocked volumes connect, which stops short of the central staircase. 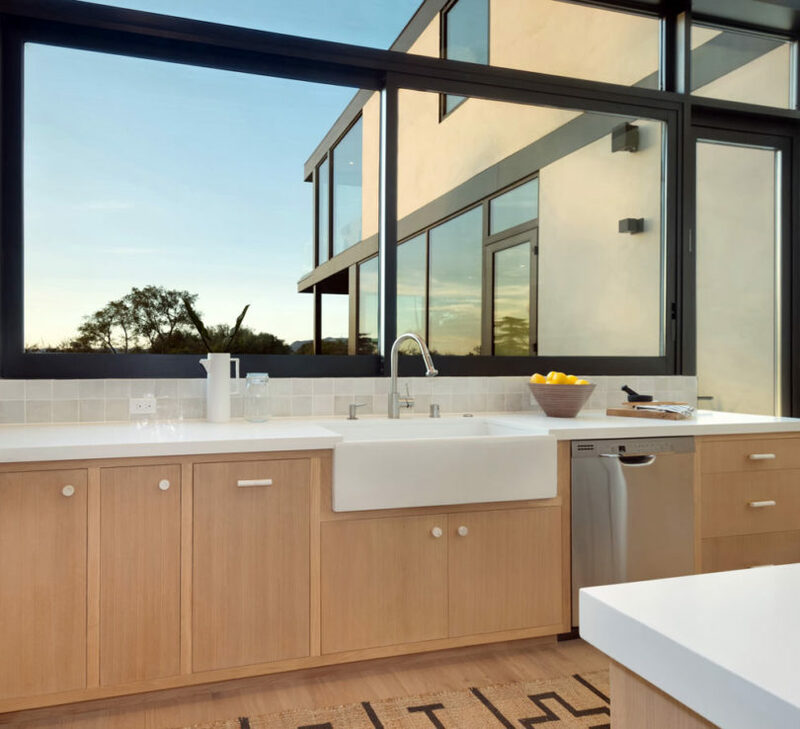 The ground floor of the “cube” houses the double-height kitchen which leads out to the pool area. 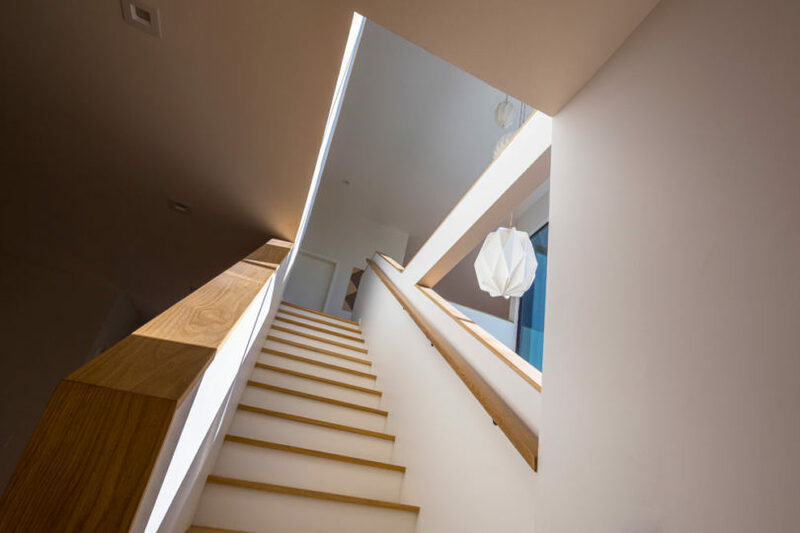 Just above on the second floor is the family room and deck. 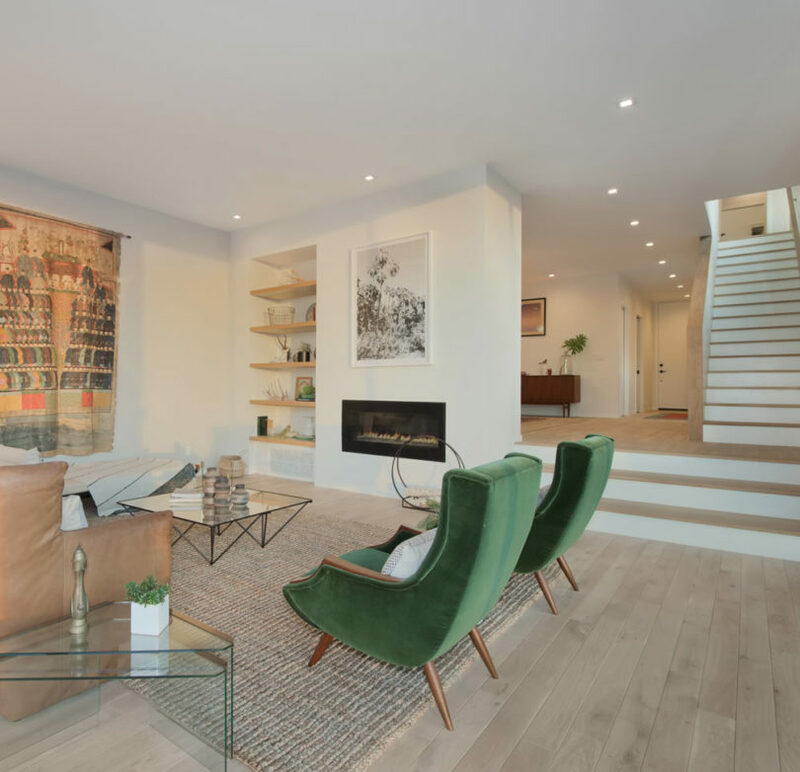 The “bar” section of the residence contains the den, dining room, living room, and terrace on the ground floor with the bedrooms and laundry upstairs where it’s private. 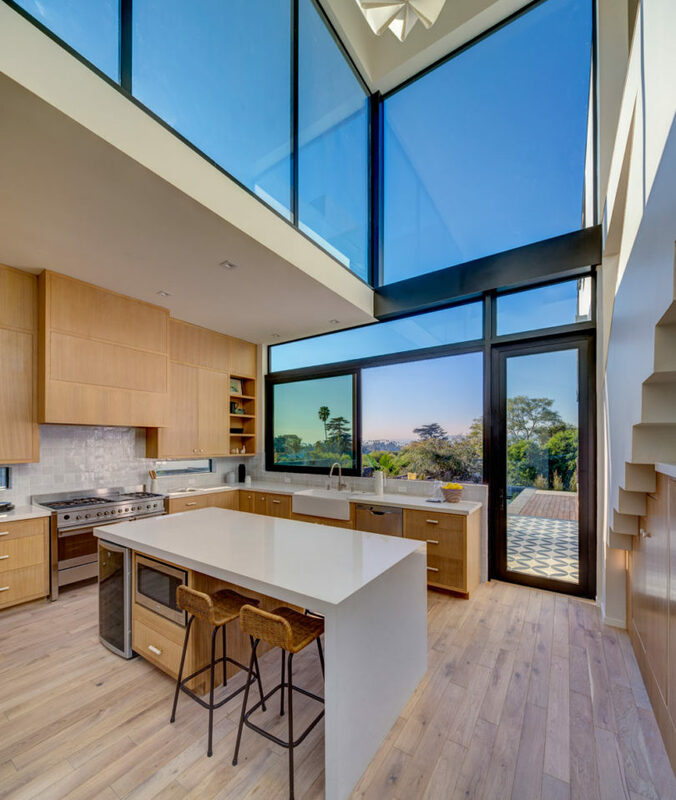 Massive windows are used throughout to frame the surrounding views while keeping the interior filled with light. 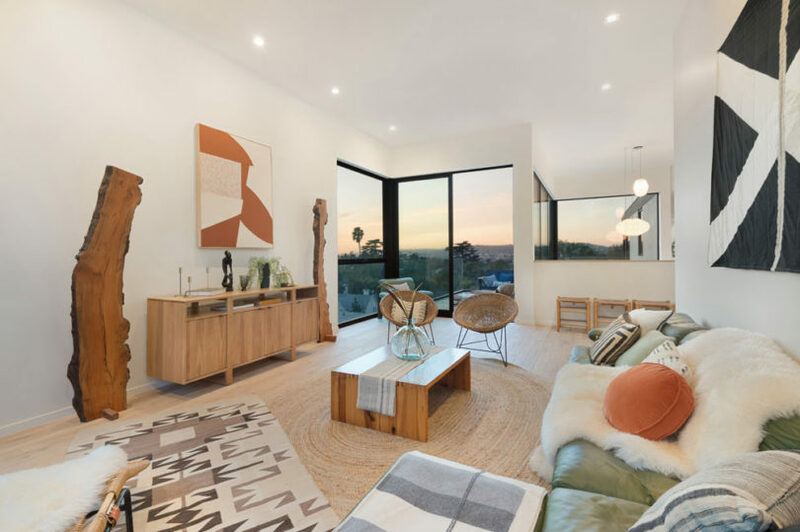 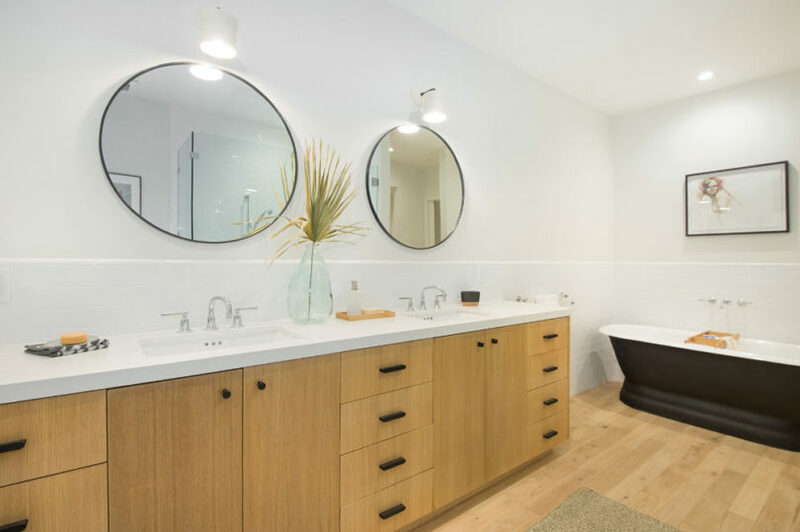 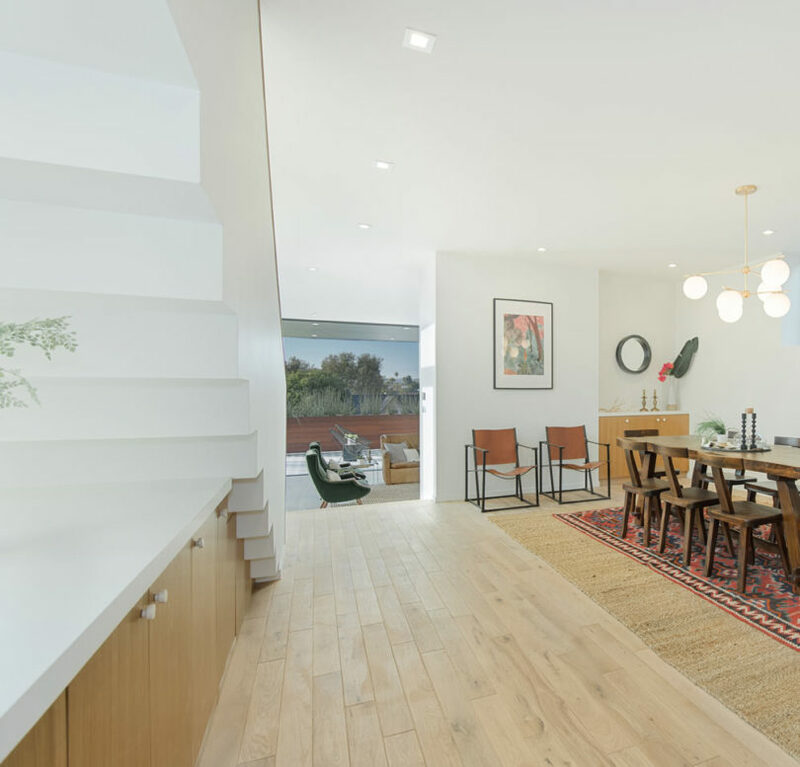 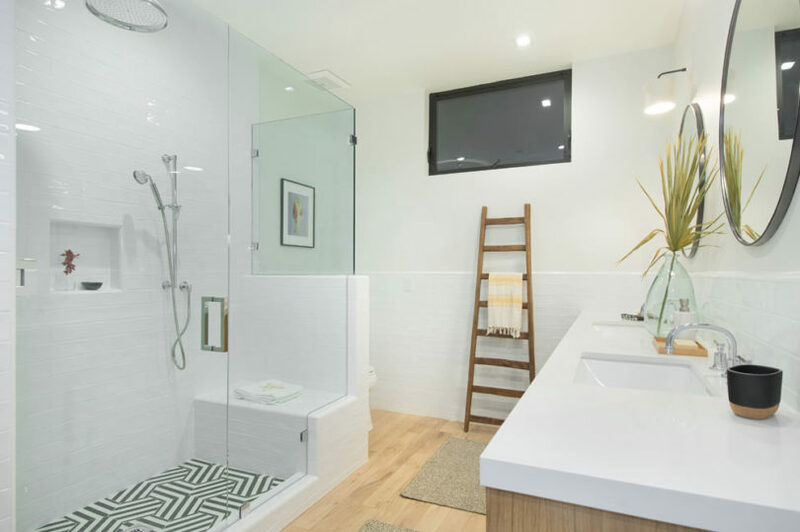 The casual interior features light hardwood floors and white walls, perfect for California living. 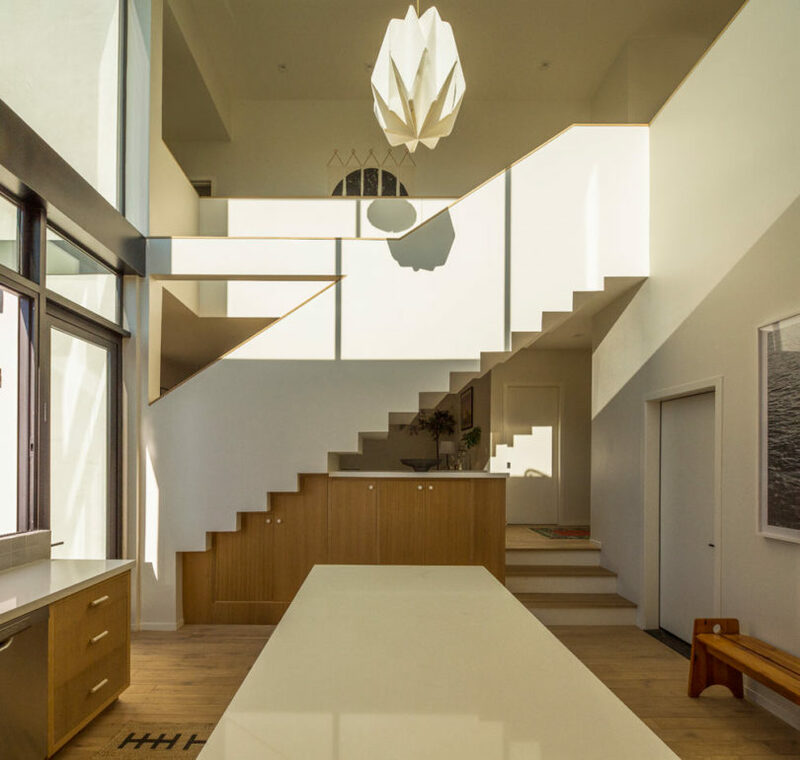 Photos by Brian Thomas Jones.